Get the OTC pharmaceutical contract packaging services you need from the partners you trust. 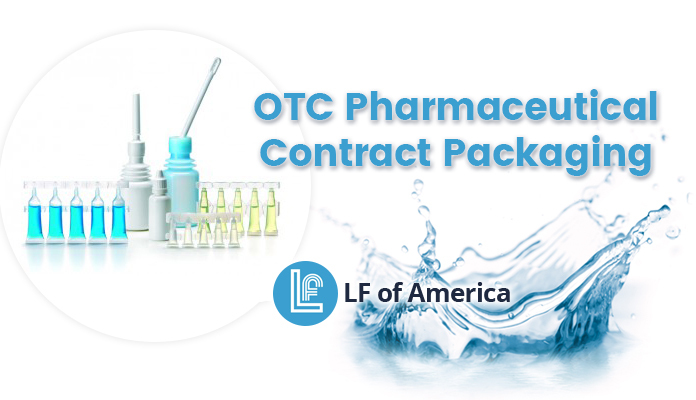 With custom packaging manufacturing services and full production contract filling machines, LF of America is the all-in-one complete source for any liquid and pharmaceutical packaging needs. As the US-based member of the Lameplast Group, we are equipped to handle whatever size of production scale you need. Learn more about our different services by visiting LF of America. Or continue reading for more information about what OTC pharmaceutical packaging is and how it’s used in the article below. Over-the-counter or OTC pharmaceutical contract packaging specifically relates to products that don’t need a prescription to buy. Most pharmaceuticals kept inside a pharmacy call for a doctor’s approval first. But OTC products are instead openly on display for customers to pick up and buy as they need. These include certain cosmetics, vitamins, health and beauty items, medicines, gels, lotions, creams, oils, and more. The identity of your OTC pharmaceutical product begins with its container. For this reason, the significance of product marketing can really be embraced to help promote your brand. Since OTC products do not need to be behind lock and key, these packages are widely seen and displayed for retail purchase. Customers often choose the product that appeals to them most. By making your package either eye-catching, modern, or classically simple, you can persuade new people to choose your product over your competitors. It also enables you to further separate different product lines by selecting certain colors, shapes, and sizes. In the end, OTC pharmaceutical contract packaging visually tells the story you want to be told. Check out the video below to see some examples of our custom OTC packaging manufacturing options. Learn more by reading “What is OTC Packaging?” here. We specialize in unit-dose packaging solutions but make containers suitable for any product line. These containers include unit-dose ampoules, bellow bottles, wand tubes, enema containers, bottles with droppers, dual chamber bottles, and more. We even have the ability to use multi-layer technology to give you full customization control and offer custom packaging manufacturing services, as well. Our commitment to excellence means all plastic materials are used and discarded by an eco-friendly process. But if you already have a package you love, you are still in luck. Our advanced machinery is capable of handling and filling most pharmaceutical containers. You can even customize or personalize the package with pad-printing, labeling, hot-stamping, embossing, silk-screening, and more. Speak with a contract packaging expert to discuss our services more by calling LF of America at 561-988-0303. Remember to ask us how to receive a free product sample. If you want to learn more about us, visit the Learning Center on our website. Or contact us by email at your convenience for more information.